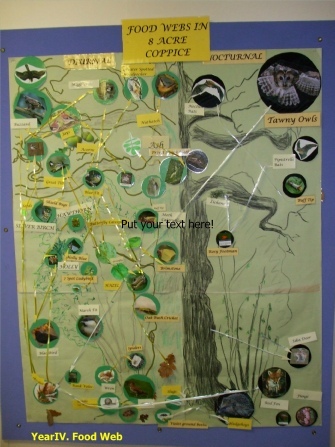 Putting together what they have seen and learnt they can construct a food web for the life around a tree. 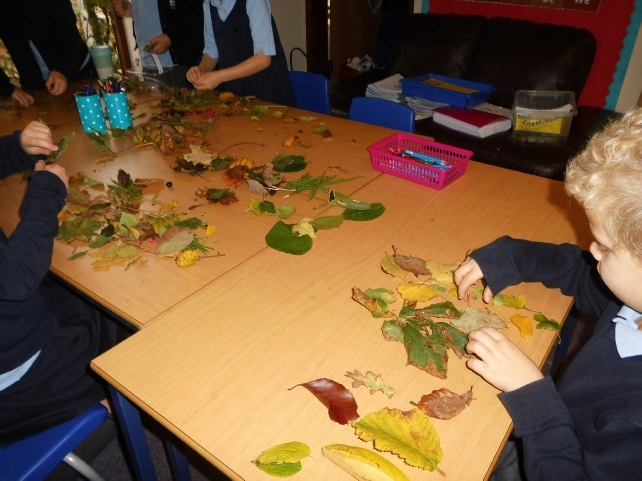 In autumn, with Years 1 and 3, we collect local tree seeds, name them, sow them in pots, and collect autumn leaves for identification. 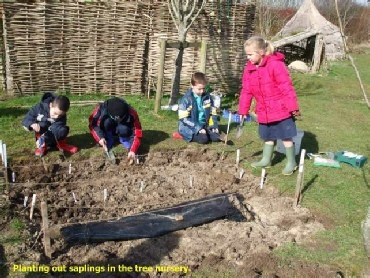 In spring, Year 3 plant out their seedlings into tree nurseries we have created in each school. We grow trees from willow cuttings. 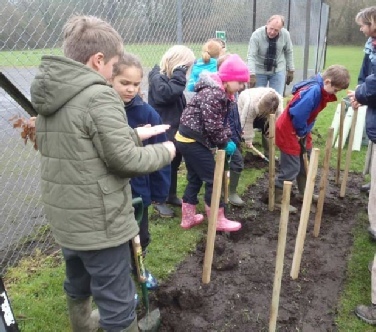 Also, with Year 4, we plant out their saplings from the nursery, creating hedges, shade areas and at Milborne St Andrew a small community woodland has been started. 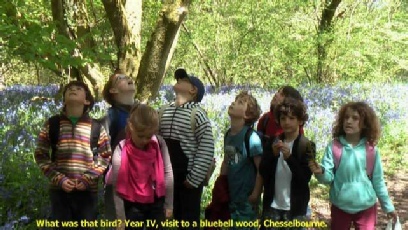 In summer, Year 4 visits a local bluebell wood and learns first hand about the web of life trees support. For this to continue we seek grants, sponsorship and donations. The schools pay £30 a year to help cover pots and tools, but offers of help are welcome. The Scheme has received a high accolade from OFSTED! 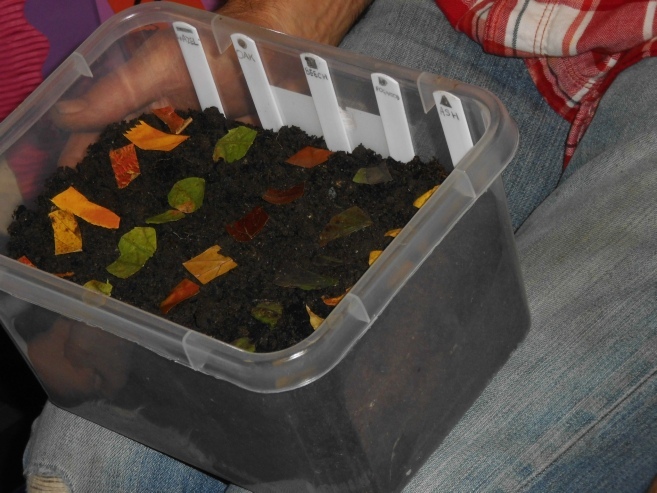 During the year there are classroom sessions, and experiments may be carried out, eg to find which leaves worms prefer! 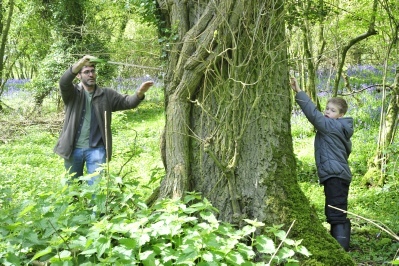 A sound understanding of the life cycles, roles of trees and recognition of native species is established and it is FUN! A child in a First School sees and takes on a tree through its first years of growth and finally plants it out in the community. 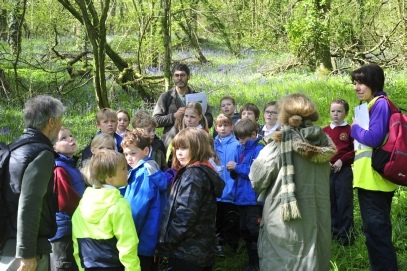 We are very grateful to Wessex Water, Grassroots Grants from the Community Foundation and the Lottery Fund for support for the Schools Project. The Schools Project was set up five years ago. 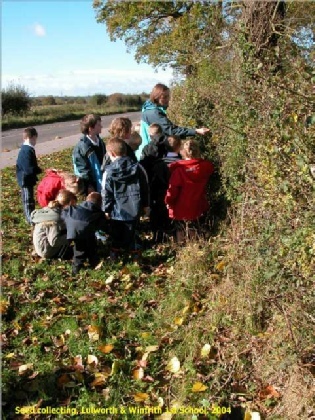 We have one paid environmental Project Officer and, with CRB-checked member volunteers, we now visit five Dorset rural First Schools through the school year. 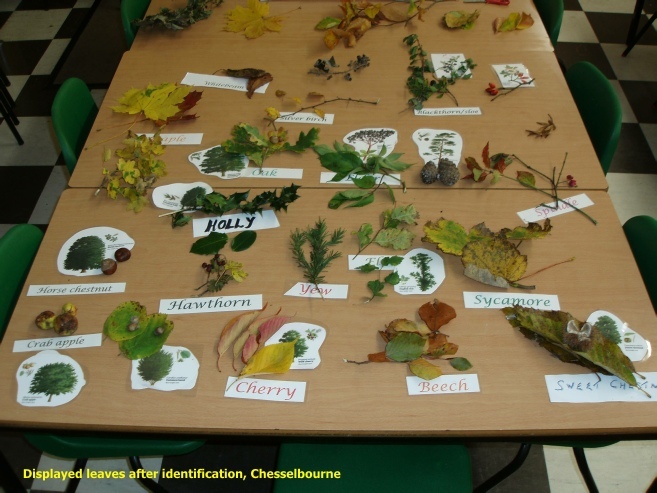 Learning to recognise what are edible and poisonous plants in woodland. 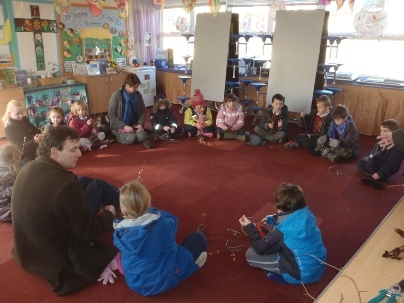 Lulworth school, learning about twigs and buds in winter. 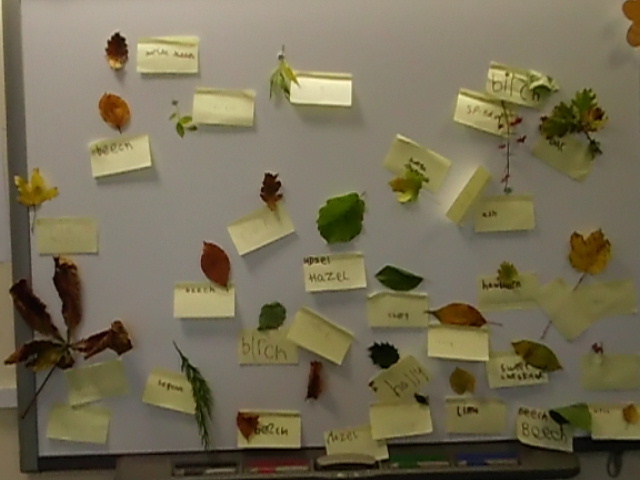 Sorting leaves (above) and naming them (below).